In an earlier post I shared how students used biography picture books to practice summarizing, recognizing opposing viewpoints, and citing textual evidence. Using the four-step process modeled there, students cut to the chase to tell what was "most needed to know" about their famous man or woman from history. So what's next? Below I've shared some of the biography extensions and report options which students have completed over the years in my classroom. I'm sure you'll find a new one to try out! As students read their biography, they take the usual notes, either on a prepared outline or free hand. When writing the report, however, the students pretend that they're able to travel back in time to interview this famous person. The most important details are then summarized in a question-answer format which reads in a more interesting way than a standard report. The paragraph students generated in the four-step summary process (above) serves nicely as the interview's introduction. I've provided a sample of the interview format, but I highly encourage you to have students brainstorm their own interview questions as well. The brainstorming and sequencing process is an excellent introduction to the research process where students will need to formulate inquiries for themselves. Students will also discover that the unique experiences of any given person will in large part dictate the type of questions which should be asked. When reading Who Says Women Can't be Doctors? 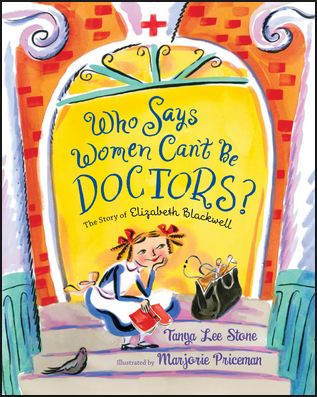 by Tanya Lee Stone, for example, one of my students was amazed to discover that Elizabeth Blackwell was turned down by twenty-eight different schools in her pursuit of attending medical school. "I think I would have quit trying after the first ten schools said no," the student remarked, and I wondered what Elizabeth Blackwell herself would have said to her in return. Some years we presented these in a talk show format, with partners playing the role of interviewer, and other years students chose to dress as the person they were portraying. 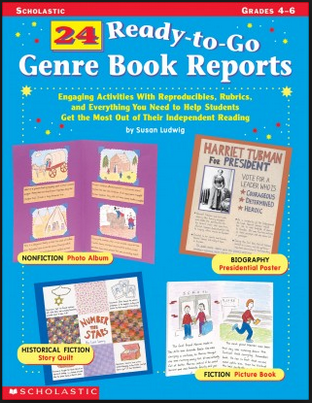 24 Ready to Go Genre Book Reports is a wonderful teacher resource full of ideas for responding to books, and one project from this resource which students have enjoyed is creating a journal. When I first began teaching, I assigned students a similar journal format, requiring at least three entries that reflected events from the person's childhood or teen years, university or training years, and years of notable achievement. Additional entries could be written at students' discretion. With the popularity of scrapbooking, students began asking if they could include artifacts in their journals. Projects soon included replica photos, sketches, tickets, maps, currency, and so on. The journal covers likewise became more creative, with students creating covers that resembled television sets, suitcases, trading cards, shipping crates, cars, space shuttles, hats, jerseys, and wanted posters. 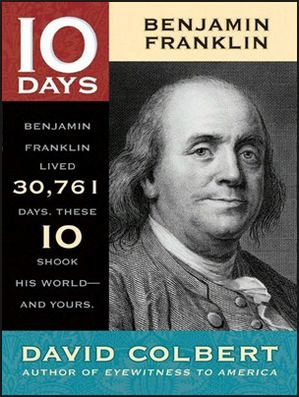 A wonderful set of biography books which rely upon a similar concepts of "snapshots" from a person's life is the 10 Day series by David Colbert, which so far includes books on Anne Frank, Abraham Lincoln, Thomas Edison, Benjamin Franklin, and Martin Luther King, Jr. If all students in your classroom read the same biography or autobiography, they could likewise focus on the ten most pivotal days of that person's life, with students possibly pairing up and writing a first-person account of one of these days. As mentioned above, the paragraph students generate in the four-step summary process can serve as an introduction to the diary, as the entries themselves may not provide ample information for some readers to understand the importance of the subject's achievements. One of my students' favorite parts of the Time Machine assignment (above) is when they, in the guise of their famous person, are asked to give advice to future generations. Putting themselves "into the shoes" of this famous person and distilling the experiences of a lifetime into a bit of sage advice is a difficult yet rewarding task. In Lessons Learned, students generate eight to ten tips that their hero might pass on to future generations. The advice can be published as beautiful quotes, using a quote making site such as Quozio, Quotes Cover, ReciteThis, or ProQuoter. Here, the four-step biography summary is used as an introduction piece that acquaints the reader with the giver of wise counsel. The quotes themselves can be printed, or embedded into a Google Slides or similar sharing platform. Since most students best understand a biography in strict chronological order, creating a timeline would be a good way for them to explain and illustrate important life events. For creating an online timeline, I highly recommend Hstry.co, which I discussed at length in a previous post. Check out that post to see how easy it is to get started with Hstry. Telescopic Text allows writers a chance to share a story just one bit at a time, while revealing small and large thoughts alike in a measured manner. You can best understand this site by checking out the site creator's example. To see how a text is entered and edited, and to see a pretty impressive Telescopic Text created by a seven year-old, check out the video below. 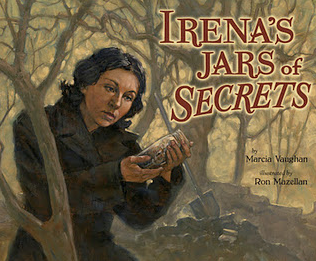 Students could use this site to create a slowly expanding narrative of their hero's life. What's great about the site is that it encourages elaboration, a tough topic to teach students who are often trying to write as little as possible. Caveat: Students should register for their own accounts and learn the difference between saving and publishing (saving allows for future edits; publishing does not). A newspaper clipping describing an important event from a person's life is a terrific way to get students to focus upon what really merits attention. The Fodey Newspaper Generator provides a very short format clipping (about 1000 total characters), which is just enough to provide facts without the clutter of details. The clipping to the right, for example, was created in response to A Nation's Hope: The Story of Boxing Legend Joe Louis, written by Matt De La Peña and illustrated by Kadir Nelson. 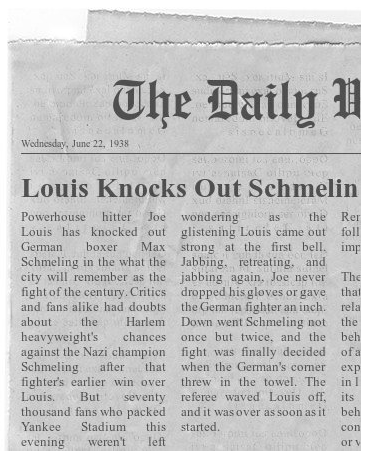 While the picture book chronicles Louis' rise as a fighter, the newspaper clipping captures just a highlight of that life. This newspaper generator (which I found at the Learning Never Stops blog) allows for more space and also an image, but fills in the rest of the front page with two nonsense articles. Students would need to screen shot and crop out the other articles if they didn't want them to show. In addition to a stand-alone activity, the newspaper clipping could also be used as an artifact in the Journal assignment above (some students have also used the movie clapboard generator at the Fodey site for their journal project). I previously discussed Google Story Builder in another blog, and I'm still a fan. It's a very neat way to show differing points of view. Take a second to check out my review. 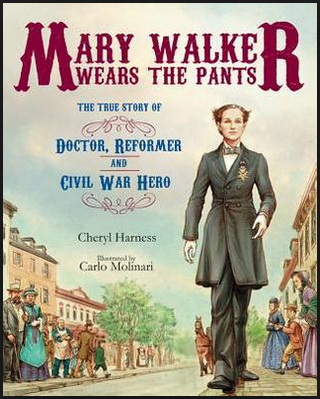 Here's a short Google Docs Story I created after reading Mary Walker Wears the Pants: The True Story of the Doctor, Reformer, and Civil War Hero, written by Cheryl Harness and illustrated by Carlo Molinari. Note that activist Mary Walker disagrees with what a fabricated nemesis named "Nathan Properbody" has to say. Students can create both sides of such a fictional dialogue, or two students can take on opposing roles and write from each viewpoint. The process will need some trial and error, and the resulting pieces can't be long, but it's a very different type of writing requiring some critical and creative thinking. Looking for more tech tools to assess student learning? Be sure to check out this collection of over thirty of the best free sites I've found to assess students at all stages of learning process.